About Us | Niagara Composites International Inc. Serving the wire industry since 1980, Niagara Composites stands out as an industry leader, and global supplier of leading edge bow products. We are committed to innovation and continuous improvement, offering outstanding customer service and competitive prices on premium quality flyer bows to the global wire twisting and bunching industry. In fact, our many innovations in bow design have had a significant, positive impact on the production of wire and cable. 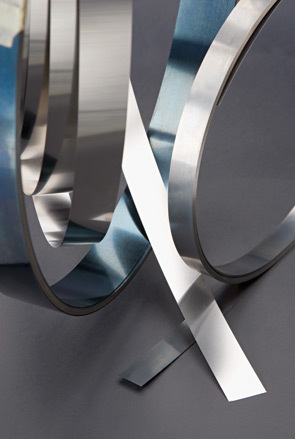 A profound understanding of each customer’s unique needs allows us to manufacture, fit and balance custom-designed flyer bows to your exact specs. We can also help you effectively reduce lead times and down times with Just-in-Time Inventory practices through our Supply Chain Management program. This approach can result in substantial cost savings too. Have your supply chain management staff visit our supply chain management system page. Known for our custom work, our in-house draftsman can create engineered drawings for your new flyer bow design prototype or to modify your existing designs, enhancing your equipment’s performance. Currently, we are developing flyer bow prototypes based on new technology for one of the world’s largest manufacturers of communication cable. This new design will be among the lightest and most efficient ever offered in the wire and cable industry. Stay tuned for more! President As a native of the Niagara Region and the founder of Niagara Composites, Roy began his journey into the plastics industry while studying orthotics and prosthetics at college. The roots of his business date back to 1970. Since then, he has concentrated on supplying superior products at a reasonable price to the wire twisting and bunching industry. Roy does not sit still. He is constantly looking to innovate, making use of the latest materials and manufacturing methods. His unique bow designs have had a compelling influence on the production of wire and cable. Composite Technician Biography coming soon! Senior Technical Sales Having served the North America and global wire and cable industry at NCII for over 18 years, Ross has both the experience and knowledge to assist our customers with their demanding bow and service requirements. Known for his great attention to detail, he will ensure we provide you with bows that meet your exact specifications. As well, Ross is prepared to offer his insights for customized alternatives and innovations to meet the demands of your more challenging bunching and twisting applications.